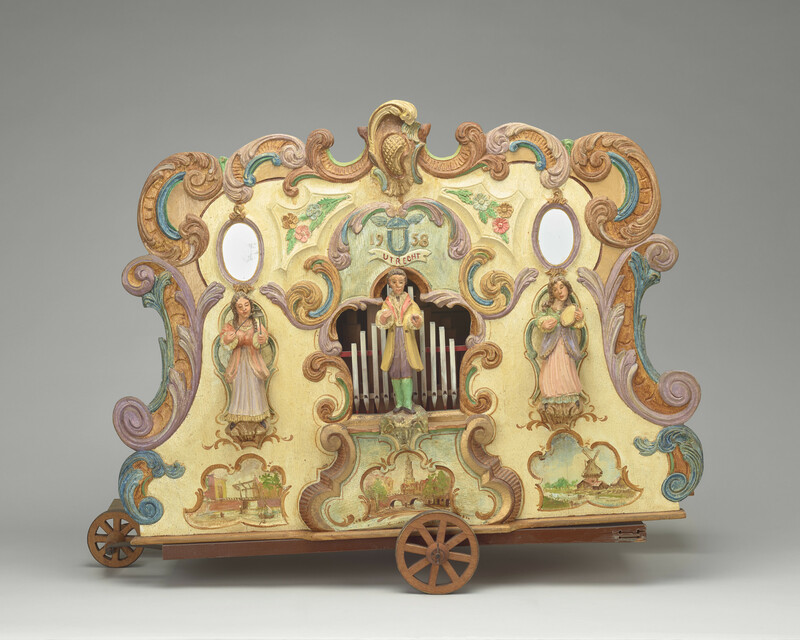 A Dutch painted barrel organ, shaped w 3 musician figures, centre carved & inscribed. On maodern rosewood base w 2 flaps containing pigeon holes. Complete w 5 scores.